Has your roof seen better days? If so, it’s essential that you call ProRoofing now on 01202 518763 for a quick and permanent solution to your roofing conundrum. As the leading choice for roofing insurance repair services, our work is fully approved by leading insurance providers. So, if you’re looking for effective roof repairs as well as complete of peace of mind, call ProRoofing today. The roof is an area of the property that is frequently neglected, yet when it goes wrong, the consequences can be far-reaching. Uplift forces and varying air pressures can weaken the roof assembly over time. Without adequate roofing insurance repair work, your roof could fail entirely leaving you, your property and its contents at risk. Here at ProRoofing, we supply roofing insurance repairs that will have your roof restored in no time at all. From private residences to commercial properties, our comprehensive repair and refurbishment services are second-to-none. To learn more our roofing insurance repair services and how they can benefit you, call our team or have a read on below. How can ProRoofing be of assistance? Whether through fluctuating temperatures, water damage or falling debris, a roof that is in a serious state of disrepair can turn your life upside down. At ProRoofing, our roofing insurance repairs cater to a wide range of issues with competitive solutions that are tailored to your needs. Don’t settle for uncomfortable living and working conditions or soaring energy bills, get in touch with ProRoofing and book our FREE quotation and consultation service. 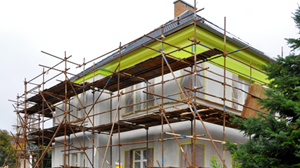 Our multi-skilled team will visit your property to carry out an in-depth structural survey. So you get the best results for your roofing insurance repair, we will supply you with and honest and professional advice. From assessing the quality to the overall safety of your roof, we can provide you with the most appropriate solution moving forward. At ProRoofing, our roofing insurance repair specialists can fix the majority of roof-related issues in the shortest time possible. Once we’ve assessed the damage, we’ll set about patching and re-tiling your roof restoring it to full working order. With our roofing insurance repair service, you’ll receive a complete roof transformation that will provide you with a roof that is both durable and high-performance. To prevent any further issue with uplift forces, our roofing insurance repairs will also take care of your roofing and insulation by ensuring that it is correctly fastened to the roof deck. What can cause damage to occur to your roofing? Only our roofing insurance repairs can highlight the cause as well as the full extent of the damage to your rooftop. If you would like more information regarding our roofing insurance repair services, do not hesitate to get in touch with our team today. Why should you trust our roofing insurance repair professionals? When it comes time to have your roof fixed, it pays to choose a company who are fully approved to carry out roofing insurance repairs. At ProRoofing, we have more than 30 years of experience in supplying high-quality refurbishments to domestic and commercial clients. We adhere to the strictest professional standards, and our workmanship ensures that your roof will comply with the guidelines set out in your insurance policy. Our roofing insurance repair experts have been DBS checked for your added peace of mind and have been trained and certified to work on projects of all descriptions. From installing a new flat roof to erecting scaffolding and carrying out efficient roofing insurance repairs, no job is too big or small for us to handle. At ProRoofing, our team can even handle the repair work for English Heritage properties in a manner that preserves the historic charm of these wonderful buildings. Here at ProRoofing, we recognise that a problem can occur at any time. When you choose us for your roofing insurance repair service, you can expect a response day and night with our 24 hour emergency call outs. Whether you’re dealing with slipped or broken tiles, faulty lead work or something else entirely, we can help. Our roofing insurance repair services are fully guaranteed for a minimum of 10 years so you can rest easy knowing that you are in safe hands. So, if you’re in need of effective and affordable roofing insurance repairs, look no further than ProRoofing today. Book your roofing insurance repair today by calling ProRoofing on 01202 518763.